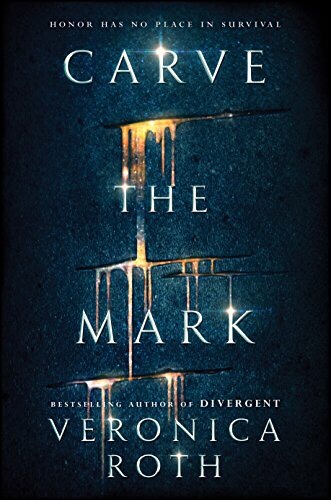 Veronica Roth has taken a creative left turn out of a dystopian society like Tris and Four inhabited in the Divergent series to a world where your place in society was determined by your currentgift. At least Tris and Four got to choose the world they’d live in, Cyra and Akos’ fate was out of their own control. I am not a woman who likes their path chosen for them so the beginning of this book was a little frustrating for me. Never fear, our hero and heroine soon chose their own paths, and once they did the speed of the story picked up and the reading of it became more enjoyable. Cyra , as the sister to the villain in this book, had a longer journey to take to redeem herself. Her currentgift made her a victim, and it wasn’t until Amos came into her life that she even felt any self worth, or at least enough to fight back against her brother’s tyranny. Akos became her only friend, and through caring for him, she became a better person. It was strange how Cyra’s character felt really old to me, and Akos so young. I liked their characters, once the plot pivoted, but felt their emotions were mismatched. I guess because she had gone through a lot more inner torment? I’d be interested if any of you had that same feeling while reading this book. She felt 25 and he felt 14. I would like to address the science fiction space travel in this book. Yes, I got the fact that at one point they were on a ship, but I thought it was a plane and they were traveling to another country. It wasn’t until writing this blog when I pulled the book up on Amazon to copy the image that I saw comparisons to Star Wars and saw words used like galaxy space travel. As I was reading, I didn’t get that feeling at all! So, maybe Ms. Roth needed to be a little more clear about the origin story for their people. I missed that boat (or spaceship) entirely! Did anyone else? Or am I alone….